Brief Synopsis – Batman’s arch-enemy The Joker thinks up a plan to destroy Gotham and Batman must find a way to stop him. My Take on it – For as long as I can recall, I have been a fan of batman. The dark look at superhero crimefighting has always been enjoyable for me to follow whether it be in the comics, on TV or in a movie. There have been lots of different perspectives of how Batman is portrayed and this film takes all of them and beautifully wraps them all into one. This film toes the line between parodying all of the previous Batman incarnations while at the same time giving us a fresh perspective on the story, origin and personality of this hero. The film has a great message about teamwork that will reverberate for both adults and kids alike. The voice cast is chosen really well and I loved the fact that they constantly surprise us again and again by the choices they made for the character’s voices because so many are recognizable. This is a film that uses a similar theme to previous Batman films yet still feels fresh and original by the way it handles things. The action is great and the jokes are shot at us at a superfast pace. A lot of the jokes are homages to not only the Batman franchise but also numerous other superhero and even other action films. The references are thrown at us non-stop throughout the film. 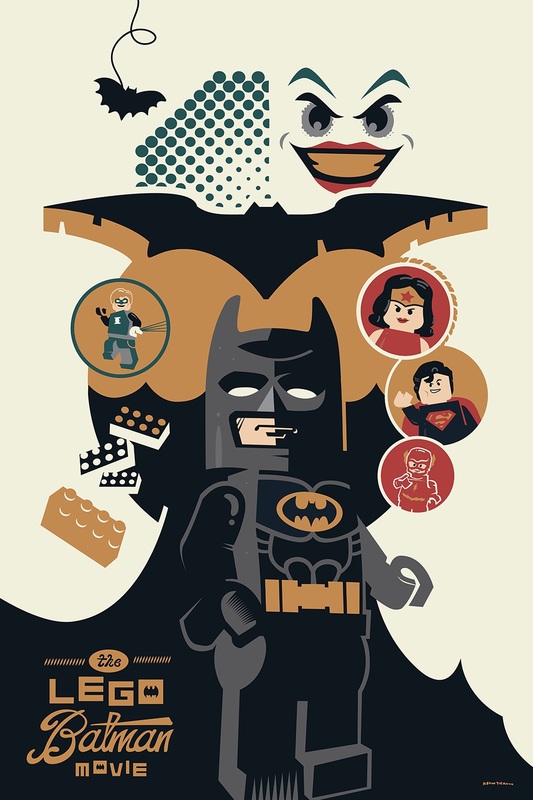 I especially loved the numerous way that this film mentions the ‘campy’ Batman TV show of the 60’s both via live action footage and Lego references. The choice to blend the recognizable Batman music with a new score works really well and helps keep the right balance and rhythm for a superhero film. This is definitely a film that is hilarious from start to finish and I’ll be quite happy if they make a sequel to this because they get so much right here. Bottom Line – Great Batman film because it gets so much right about all of his previous incarnations. This film has a superb message while at the same time knows how to keep the right balance between being a serious superhero movie and making fun of itself. The voice cast is amazing and they have so many recognizable voice cameos. The film constantly surprises along the way and keeps the action and jokes flowing the entire time. The blending of original music with previous superhero music works really well and helps create a great rhythm. Hilarious from start to finish. Highly Recommended!